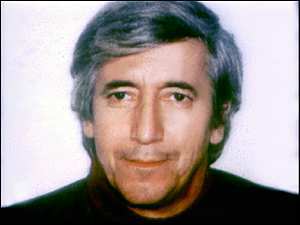 The poison ricin, which has been found by the British police at an address in London, was famously used to murder Bulgarian dissident Georgi Markov in 1978. Markov, a BBC World Service journalist and a strong critic of the communist regime, was killed in London when he was injected with ricin while he waited at a bus stop. Nobody has ever been charged with the murder, but it is widely believed that the Bulgarian secret service and the KGB were behind it. Bulgarian prosecutors said their investigation produced inconclusive results, and the case remains open. Accounts of the incident differ. Some say a ricin-laced pellet was either fired or injected from an umbrella tip as Markov waited at the bus stop, on his way to the headquarters of the BBC's World Service. Other accounts suggest the assailant used a syringe to inject the poison into Mr Markov's leg as he bent down to pick up an umbrella he had been carrying. He experienced a sudden stinging pain in the back of his right leg, but despite pain continued on his way to work. By evening Markov had developed a high fever and he died three days later. Pathologists investigating his death said the poisoning could easily have been missed. "The clever thing about ricin is that it mimics symptoms and appears in hospital investigations as natural disease," Dr Rufus Crompton told BBC Radio 4's Today programme. Dr Crompton described how he used a pig to prove Markov had been killed by ricin. "It had exactly the same symptoms. It died in the same way; samples of its blood showed the same changes. "The remarkable thing about this poison is the high white cell count that it produces and there's no other poison that does this." After weeks of research and experimentation, a coroner ruled that Markov had "been unlawfully killed". It is believed that the assassination was supported by the technical staff of the KGB and may have involved some senior members of the Bulgarian secret police. In 1992, General Vladimir Todorov, the former Bulgarian intelligence chief, was sentenced to 16 months in jail for destroying 10 volumes of material relating to Markov's death. A second person suspected of destroying documents committed suicide, while a Bulgarian spy who was believed to be involved in the assassination died in a car accident. Markov was an acclaimed novelist and playwright in Bulgaria prior to his defection to the West in 1969. He was particularly known for his harsh criticism of the autocratic rule of the then communist leader, Todor Zhivkov, and his broadcasts were seen as providing inspiration to the dissident movement in Bulgaria.